I am a minibombo book: a little book buzzing with a big idea. If you have always wanted a pet, but your parents have never let you ... this is the book for you. 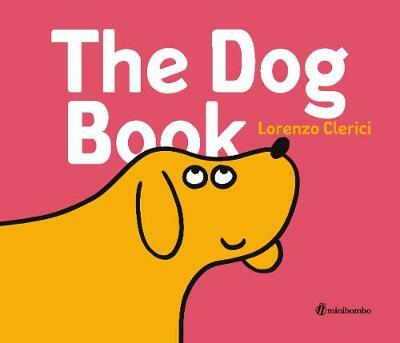 Because, inside the pages of this book, your new dog awaits. Isn't he cute? Just look at him wag his tail! As a pet-owner, it's your job to wake him up (call out his name), rub his belly (with your finger) and clean him up when he gets muddy (your t-shirt makes a great towel!). It's hard work - phew! - but it's so much fun. From minibombo, the creators of The White Book and Black Cat, White Cat comes a playful picture book that cleverly encourages you to interact with the physicality of the page itself, and a book that will, with your imagination, bring a tail-wagging, ear-scratching dog to life. Woof! Check out www.minibombo.com to find plenty of fun ideas for playing and creating inspired by this book!